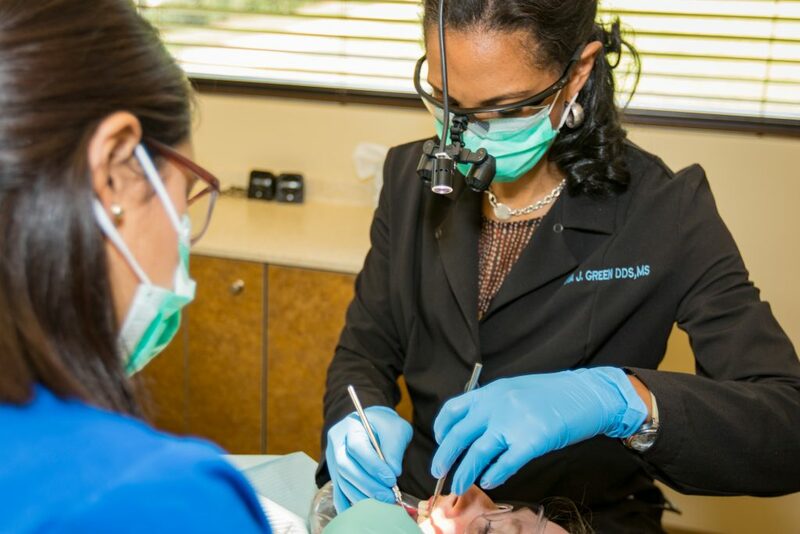 Do You Have Gum Recession? When you notice your gums are starting to pull away from the tooth structure, you may be experiencing receding gums. Gum recession procedures can restore the gum line and improve your health overall. Since the gums recede very gradually, many people do not realize that their oral health is at risk. One of the first signs of gum recession is sensitive teeth. If you notice your teeth are very sensitive when you consume hot or cold foods or beverages, your root surfaces are likely exposed. If your teeth appear larger than normal or you feel a notch forming near the gum line, you may have receding gums. This is an active infection in the mouth that can destroy gum tissue and supporting bone, as well as cause gum recession. Studies show that almost one-third of the population is at risk for developing gum disease, and therefore gum recession, because of genetics. Using the wrong brushing technique can wear down your gums. If you neglect to brush and floss regularly, you may develop gum disease which causes gum recession. Major changes in hormone levels, such as during pregnancy, can negatively affect the gum tissue and potentially lead to gum recession. Smoking and chewing tobacco can increase the risk of gum disease and gum recession. Clenching or grinding your teeth, or chewing on hard objects, can place undue stress on the gums and often lead to recession. Lip and tongue piercings can also irritate the gum tissue, causing it to wear down. Shifting bone and teeth can make the gums recede in certain areas. Who Can Get Gum Recession? "Coming here just has given me exactly what I needed to just feel like myself again. So it's been great, and I highly recommend Dr. Green and her staff and just feel like everyone here is absolutely wonderful." 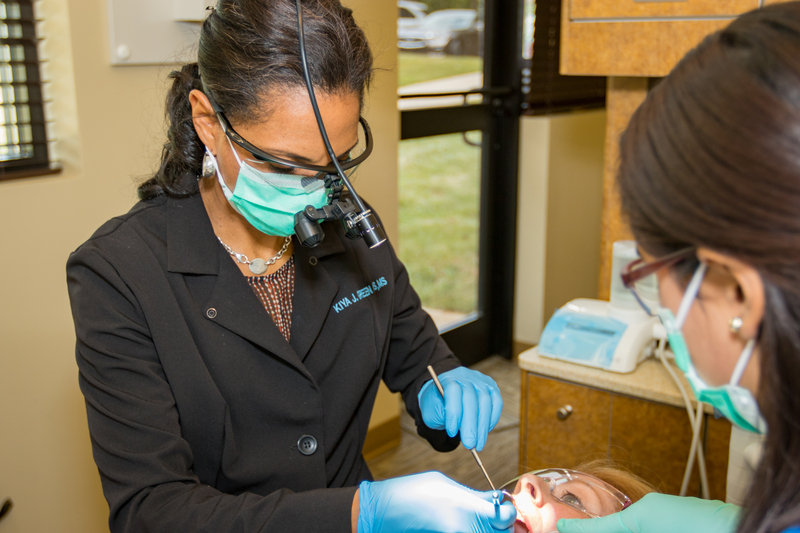 If you are concerned about gum recession in Matthews, NC, schedule your consultation with Dr. Green. Contact our office today!